The FPMI2458 dual-band sector antennas can be used for 802.11n MIMO applications. The antennas cover both 2.4-2.5 GHz and 4.9-5.9 GHz in one radome. The radome is constructed from lightweight, durable plastic and UV protected. 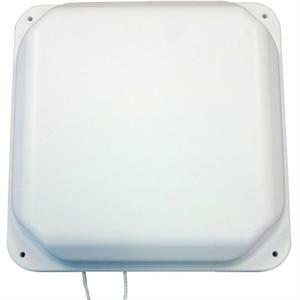 The antennas can be used with a single access point to provide full dual-band 802.11a/b/g/n MIMO coverage. The elements can also be used individually or in combination to provide diversity/non-diversity coverage with legacy 802.11a/b/g/n access points. Sierra Wireless AirLink MP 597W is an ultra-rugged, intelligent, high-speed, in-vehicle data solution for advanced tracking and mobile Internet connectivity with optional WiFi. MP 597W now featuring support for the Garmin Fleet Management Interface (FMI).